Following the viral report of Nigerian singer, D’banj losing his son Daniel III on Saturday, after he reportedly drowned in a pool, the Lagos State Police Command who sent their condolences to the singer, have also defined their stand on the incident. According to the police, the singer will have to explain the circumstances that led to the death of his 13-months-old son. 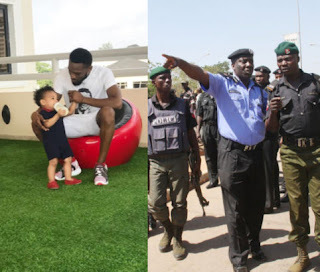 The Police also disclosed that a delegation from the command was sent to D’banj’s home in Ikoyi, but they met no one at home. CSP Chike Oti Police Public Relations Officer Lagos Lagos State Police Command. "Trying Times 💔🖤. But my God is Always and Forever Faithful"